The Rebel Sweetheart. 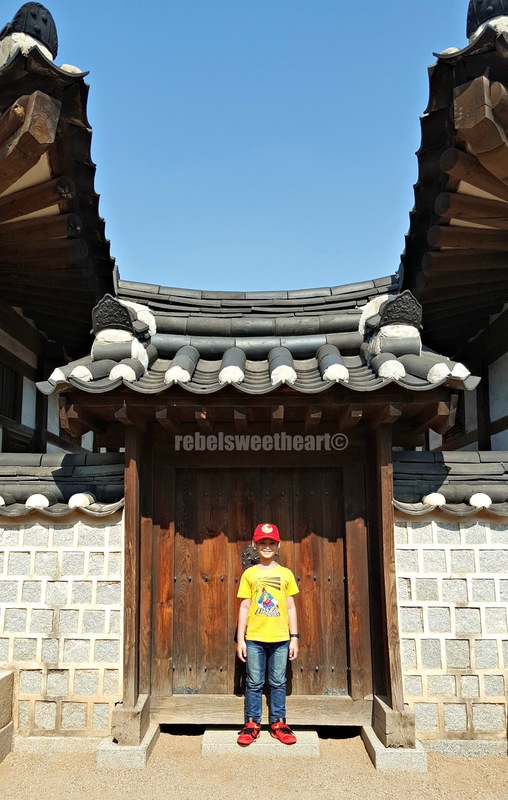 : Seoul Searching | Namsangol Hanok Village. 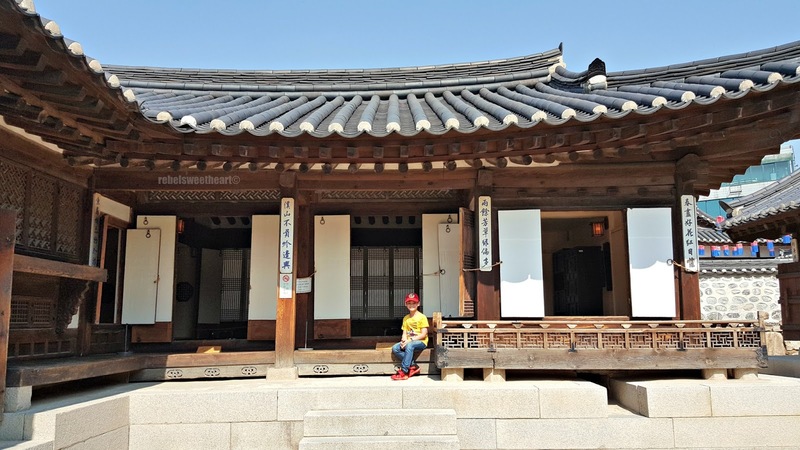 Somewhere along my decade-long obsession with Korean dramas, I have developed a penchant for the hanok - the traditional Korean house. 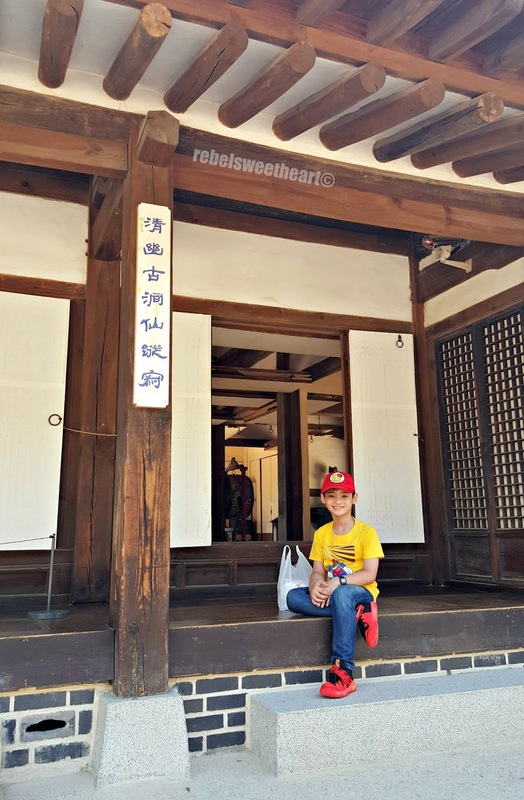 An embodiment of Korea's rich and flourishing culture, the hanok is fascinating from an architectural standpoint and gives a homey, nostalgic vibe to onlookers and passers-by. 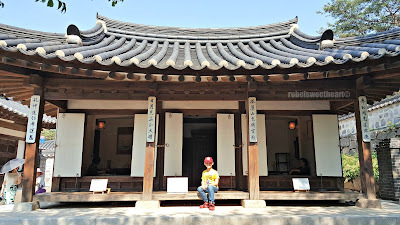 Deeply enamored by this tangible cultural heritage, I make it a point to visit Bukchon whenever I'm in Seoul. It's a residential area within the vicinity of the four grand palaces where you can find a large concentration of hanoks, all well-maintained and beautifully preserved. 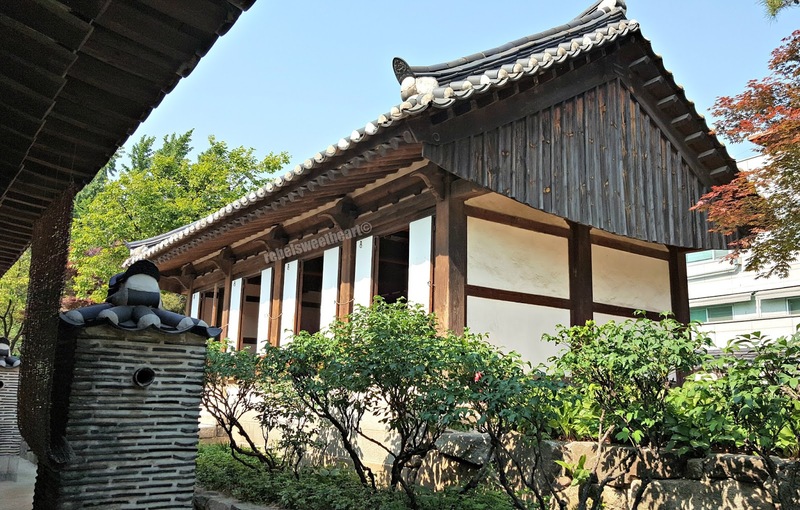 On the north side of Namsan Mountain, in the central district of Jung-gu, lies another village with opulent hanoks restored to mint condition. The place is called 'Namsangol Hanok Village', and we had the chance to tour the area last spring. Welcome to Namsangol Hanok Village! 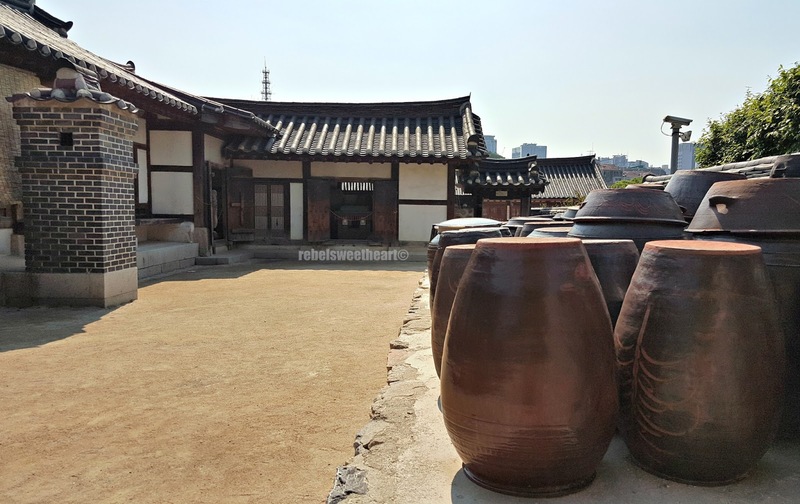 The village features five traditional Korean houses from the Joseon Dynasty recovered from different parts of the city. 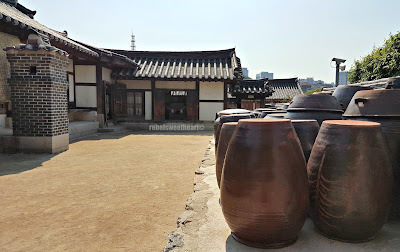 The structures were then relocated to the foot of Namsan Mountain to recreate an old hanok village. 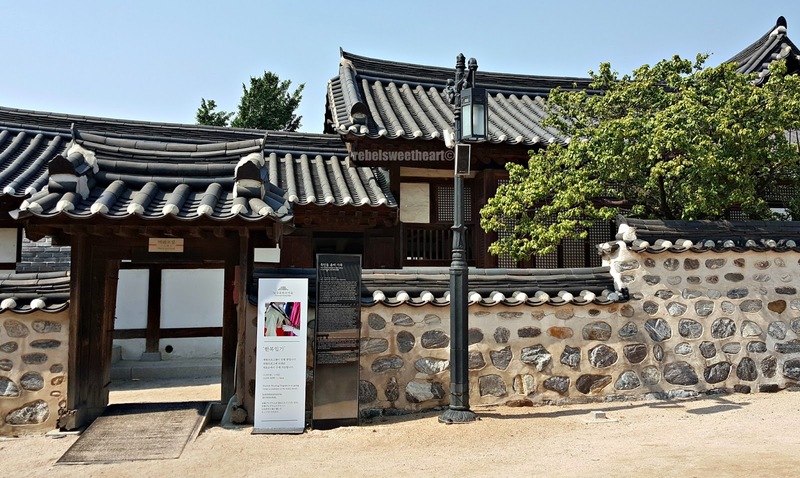 In 1998, the Namsangol Hanok Village was opened to the public and has since become a popular tourist destination. 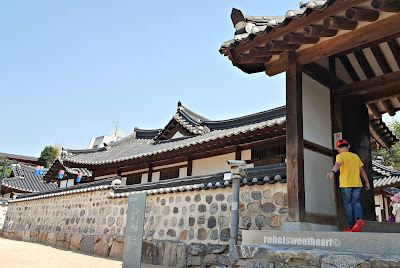 Virtual tour of Namsangol Hanok Village after the jump! 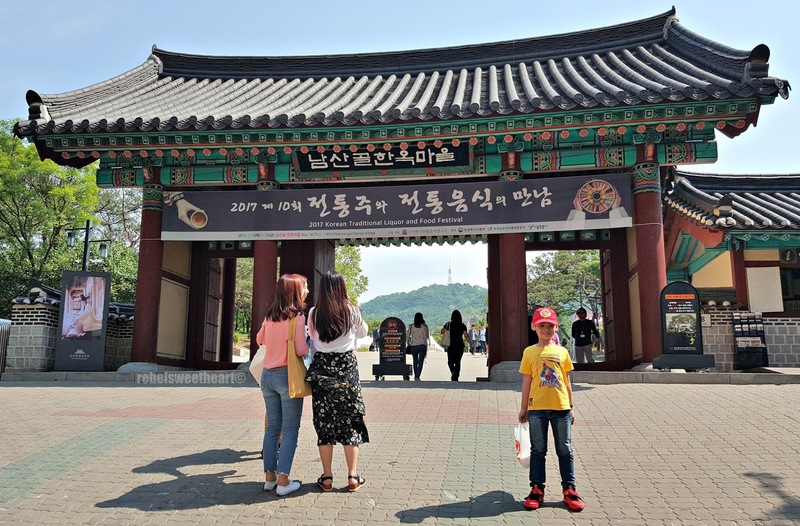 Upon entering the main gate, you will see the majestic Cheonugak Pavilion and the picturesque Cheonghakji Pond - the center for art in Namsangol in the ancient times. 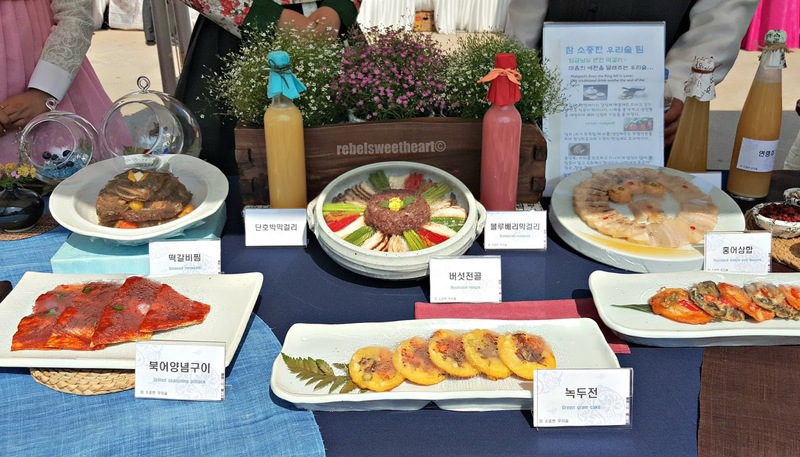 Towards the right, you will see a line of standees featuring traditional Korean clothing and a straw hut with old school tools such as woven baskets and wooden carriers. If you're interested in guided tours around the village, you can avail of this service for free - just inquire at the office located at the right side of the main gate. 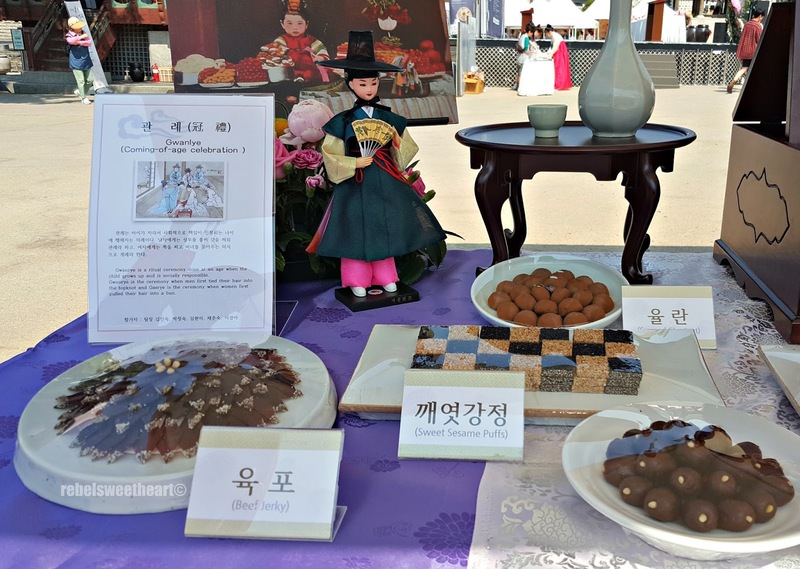 At present, the Cheonugak Pavilion and the common plaza in front of it serve as a venue for cultural events, such as the Traditional Liquor and Food Festival which was taking place during our visit. 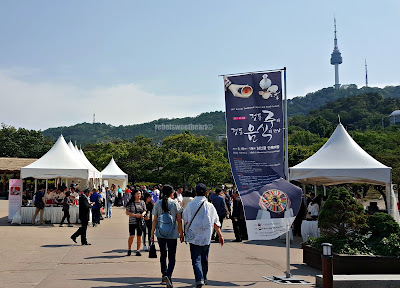 Yes, that's Namsan Tower over there. Some snippets of the festival, where we saw a lavish spread of traditional Korean food (there was a contest going on and it had to do with food and its presentation), witnessed how makgeolli (rice wine) was made, and had a chance to try some mango-flavored makgeolli for free! Yue didn't drink, of course. Food traditionally served during the coming-of-age celebration. 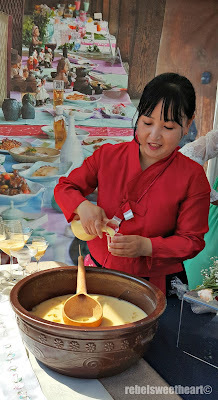 Food pairing with makgeolli. 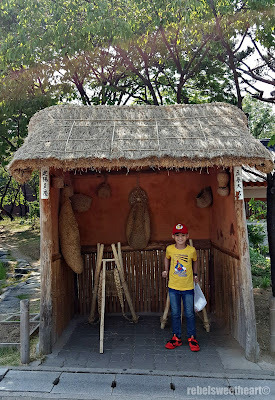 In the Philippines, these are called pulutan. The hanoks featured in Namsagol Hanok Village are typical upper-class and middle-class dwellings during the Joseon era. 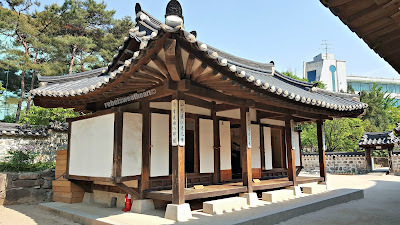 These hanoks were homes to important historical figures, and all five houses were designated as Seoul's Folklore Cultural Heritages in the 1970s. The entrance leading to Lee Seungeop's house. 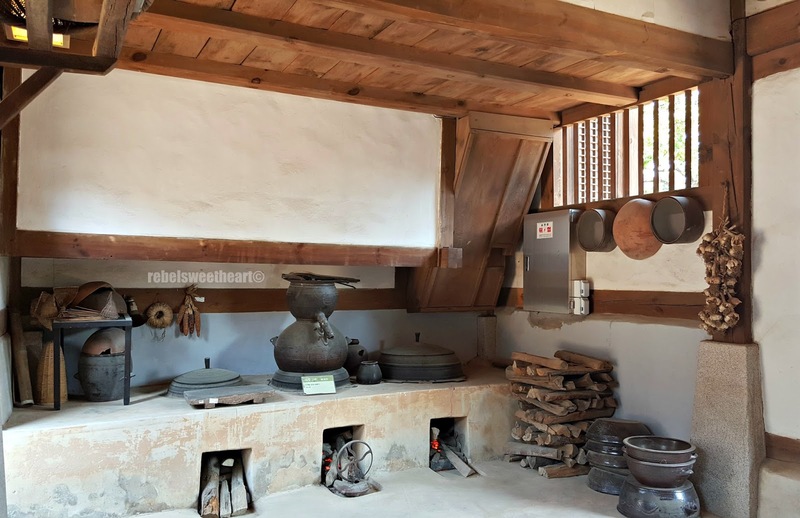 Perhaps the most simple among these residences is the hanok of Lee Seung Up, the head carpenter for the reconstruction of Gyeongbokgung Palace in the late Joseon era. 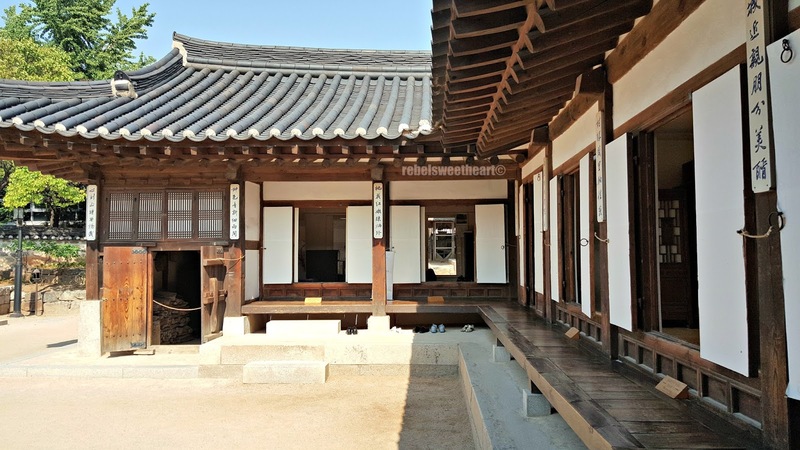 Main living quarters, Lee Seung Up's hanok. Male elders' quarters, Lee Seung Up's hanok. 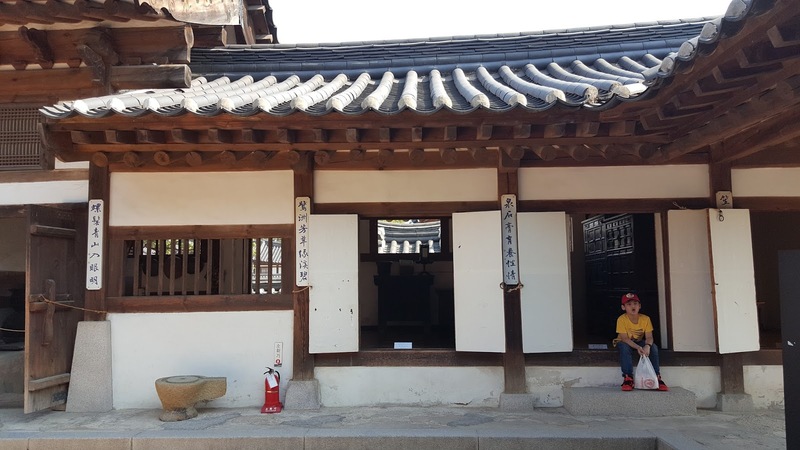 This house was relocated from Samgakdong, but only the main living quarters and the male elders' quarters remain intact. This large and spacious building used to be the home Min Yeong Hui, a relative of Empress Myeongsong. Also known as Queen Min, she was the first official wife of King Gojong and the last empress of Korea. Brick ventilation system, usually found in the homes of the upper class. 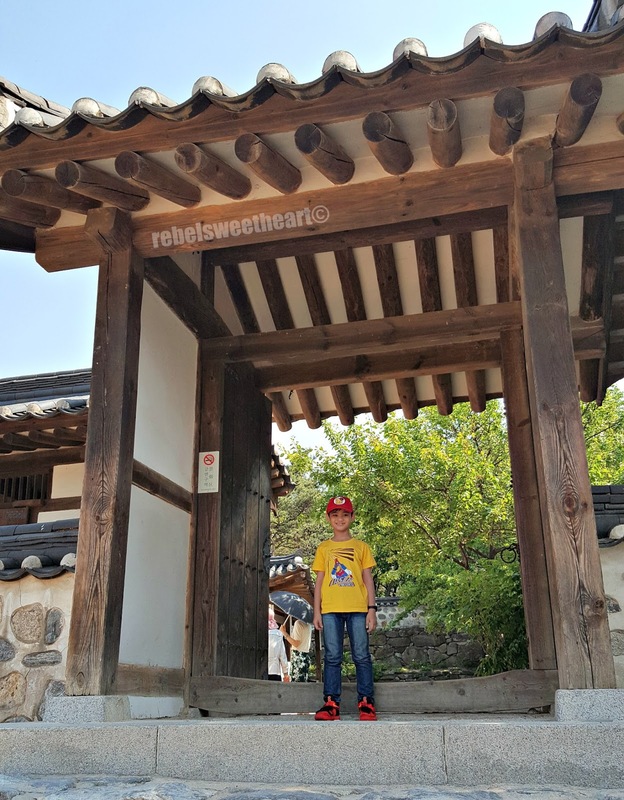 These structures were originally located in Gwanhundong and were believed to be consisted of the inner, outer, and middle quarters as well as a detached house and servants' quarters. 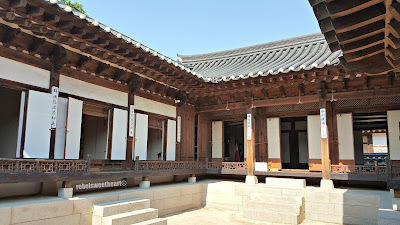 Another upper class structure is the Yun residence, home to the parents of Queen Hyo. She was the Queen Consort of King Seongjong, but was deposed and forced into exile after inflicting physical injuries to the king. This area was the kitchen, I believe. The Yun residence was originally made of 20 structures and used to be located in Okin-dong. Residence of Kim Chun Yeong. 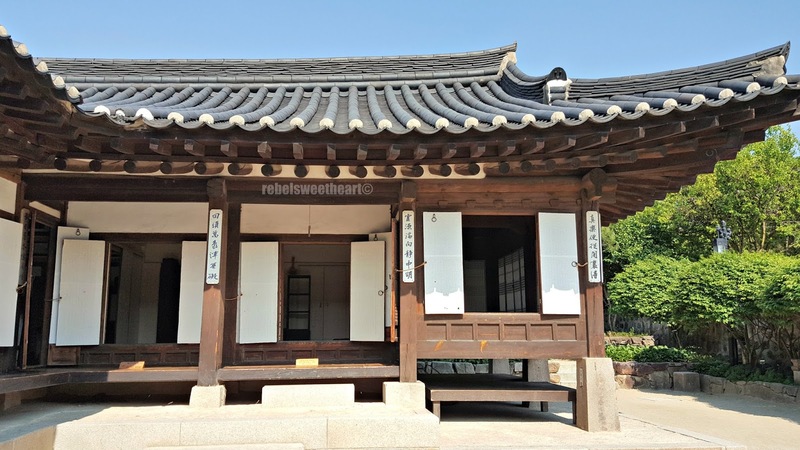 Built in 1890, the residence of Kim Chun Yeong bears the architecture style most common to ordinary houses during that time. 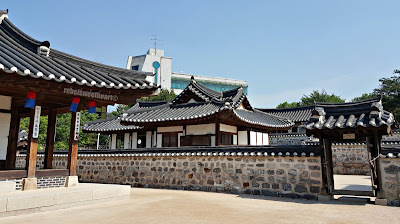 Originally located in Samcheong-dong, this residence has two sections in its closed-square shape - the main living quarters and the male elders' and guests quarters. One side of the main living quarters. 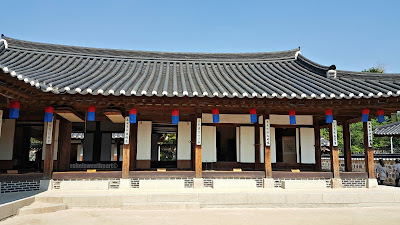 Kim Chun Yeong was a high-ranking military official who also served as a prime minister towards the end of the Joseon dynasty. 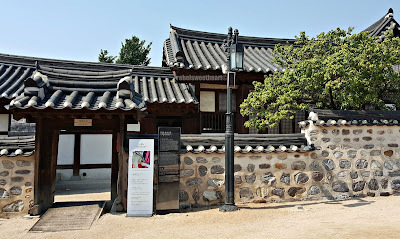 Residence of Park Yeong Hyo. 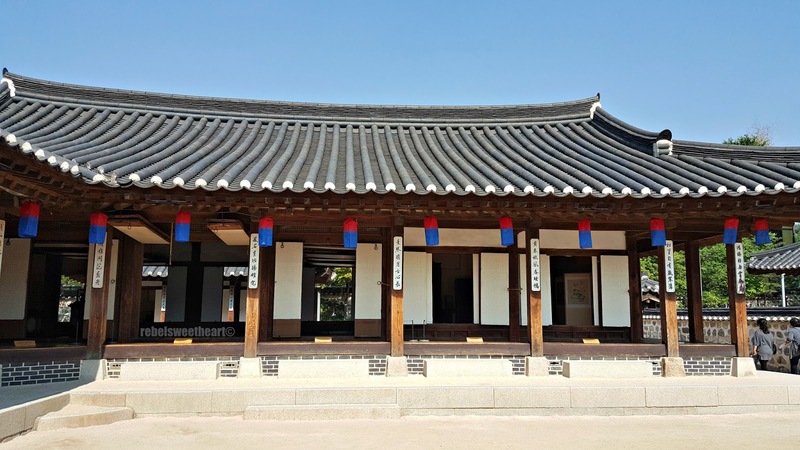 Finally, there's the residence of Park Yeong Hyo - husband of Princess Yeonghye, the illegitimate daughter of King Cheoljong. 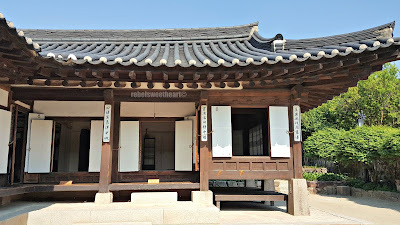 Park Yeong Hyo's family was known as one of the eight most powerful aristocratic families of the time. The entrance leading to Park Hyeong Hyo's home. 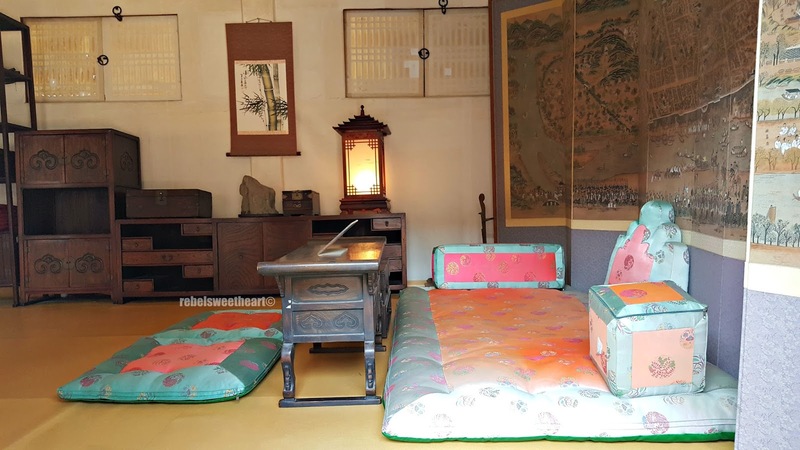 This house originally had five sections, but only the main living quarters remained intact. The other quarters were then rebuilt by the city government based on the original designs. This is the servants' quarters, I reckon. Although more tourists prefer visiting Bukchon Hanok Village, Yue and I enjoyed our self-guided tour of Namsangol Hanok Village immensely. 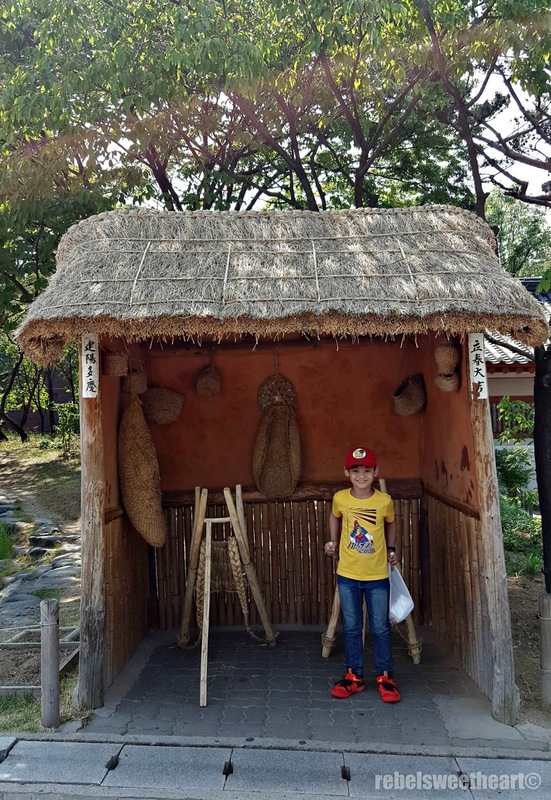 Not only did we get to marvel at the hanoks, we also got a glimpse of the lifestyle of some prominent historical figures of Korea. 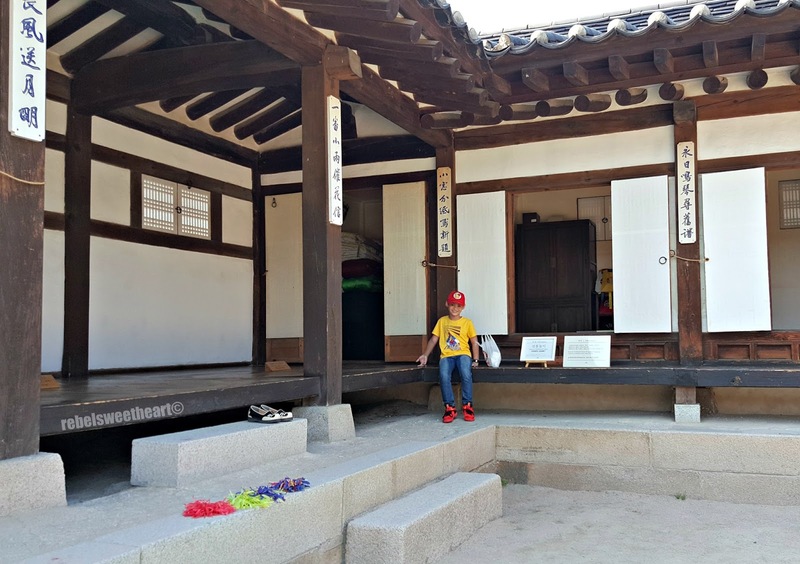 If cultural activities are your thing - such as calligraphy, tea ceremonies, and even making rice cakes, then Namsangol Hanok Village is the place to go. 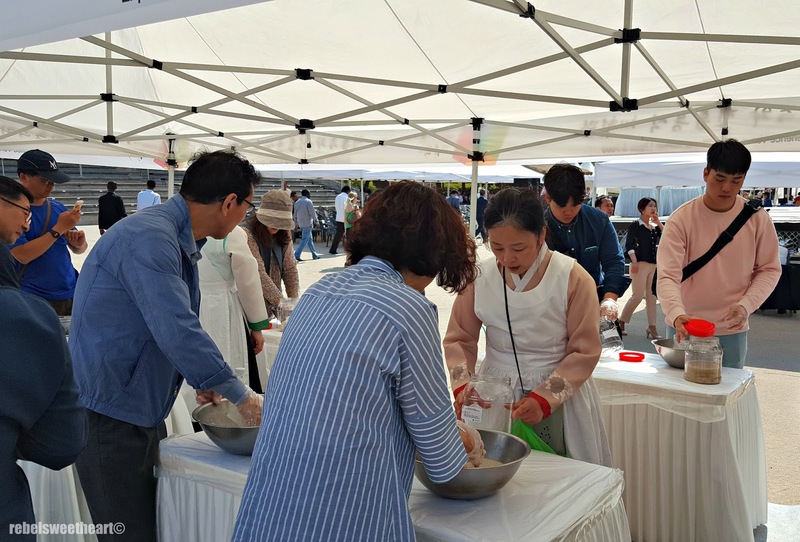 They offer various activities for kids and adults that will give you a deeper appreciation of Korean culture and traditions. A glimpse of Joseon lifestyle. Namsangol Hanok Village is open Tuesdays to Sundays from 9 am to 9 pm. Entrance is free. 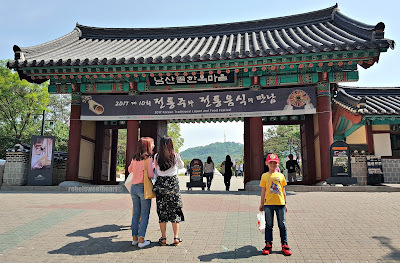 To get to Namsangol Hanok Village, take Chugmuro Station exit 3 or 4. Walk along the road between Chungmuro Media Center and Maeil Business Newspaper Building until you see the main entrance. 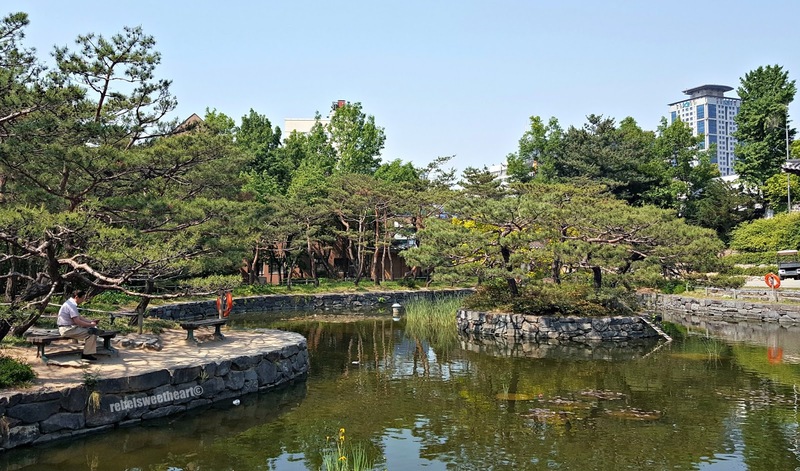 Seoul looks like such a beautiful city, with so much to offer. I'd love to explore here one day soon! Korea has kept its culture well preserved. 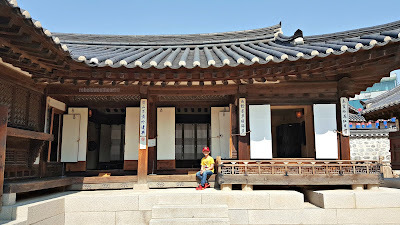 One of my travel wish list is to got visit Korea and witness myself how wonderful their history is. Hanoks are so visually stunning I can see why you like them so much. There was so much great information in this post. 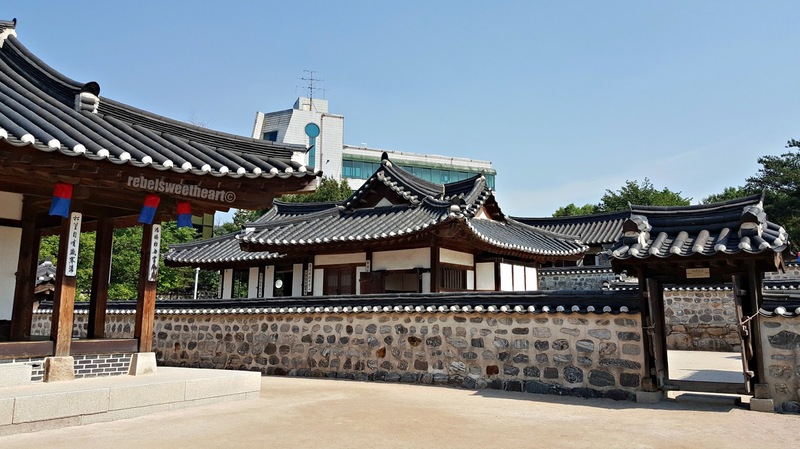 I would love to visit here and learn more about Korean history and culture. Making rice cakes and the tea ceremonies sound like a lot of fun! 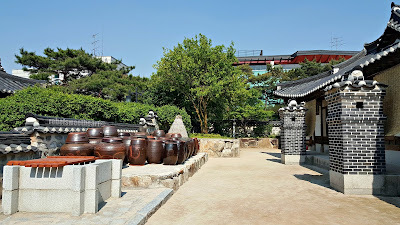 Would LOVE to visit Seoul, these photos really bring to life the village (not to mention your recollection of the visit, (paints even more of a photo in my mind)! Thanks for sharing your trip! It looks amazing and I would love to get to go and experience a different culture. Seoul is such a beautiful place. You captured the beautiful really well. I am hoping for one day to go there. It is so interesting to look at how people used to live, especially when it comes to completely different cultures such as the Korean! Thank you for sharing! These pictures are so cool. Seoul looks like an amazing place to visit. Hope I can make it there one day! the village looks absolutely fantastic! So beautiful. 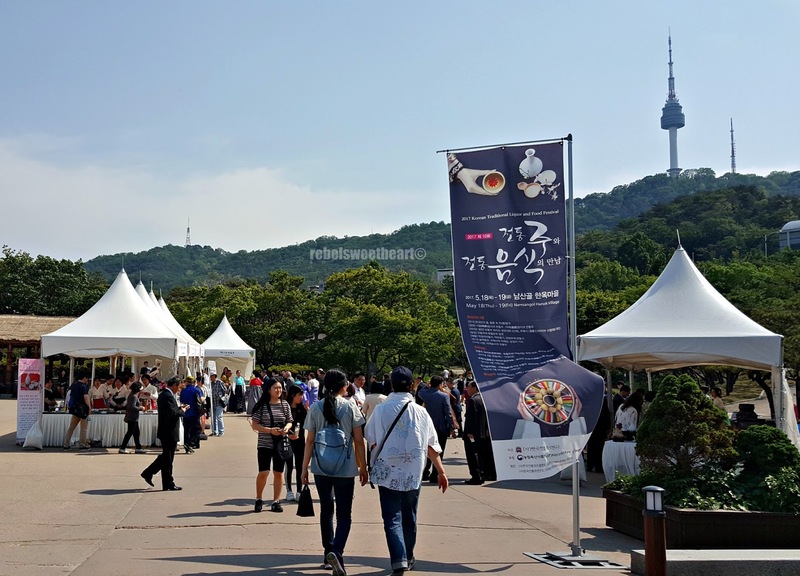 it makes me want to travel to Seoul even more! What a beautiful city in a beautiful place! I don't know much about Seoul, but it looks like an amazing place to travel to! I love the architecture of the buildings. I think it would be really awesome to live in one of them. So unique. Sounds like an amazing trip to Korea that’s very much worth it. I’ve never been to Korea and this post makes me want to go there now. OMG, this place is amazing! I would love to visit it someday... Thanks for so many pictures! History is so fascinating I am glad to see that history is being saved by copying the architecture etc You have some very beautiful pictures depicting their past. 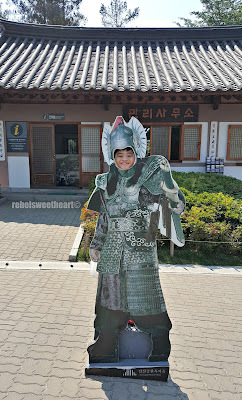 Wow Korea's culture is very well preserved. 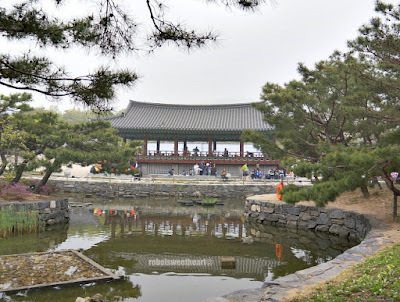 I wish I could travel here because Korea is one of my top travel wish list. and I hop you write again soon!